The month past has been a whirlwind of travel; even more so than a "normal" May. I've been on the road for the majority of the past few weeks, including the last eleven days in northern Michigan. It's always nice to return home after extended forays, even if it means dealing with a pile of emails and various other stuff. For the last five years, I've led trips in mid to late May in Presque Isle County, Michigan, based out of Nettie Bay Lodge. Birds are our primary quarry, although we look at everything and that covers a lot of ground. I could not resist making the image above, of an eastern chipmunk, Tamias striatus, while a passel of migrant warblers entertained our group. I was looking at a Nashville Warbler when the little "chippie" caught my eye and obliging posed for my camera. 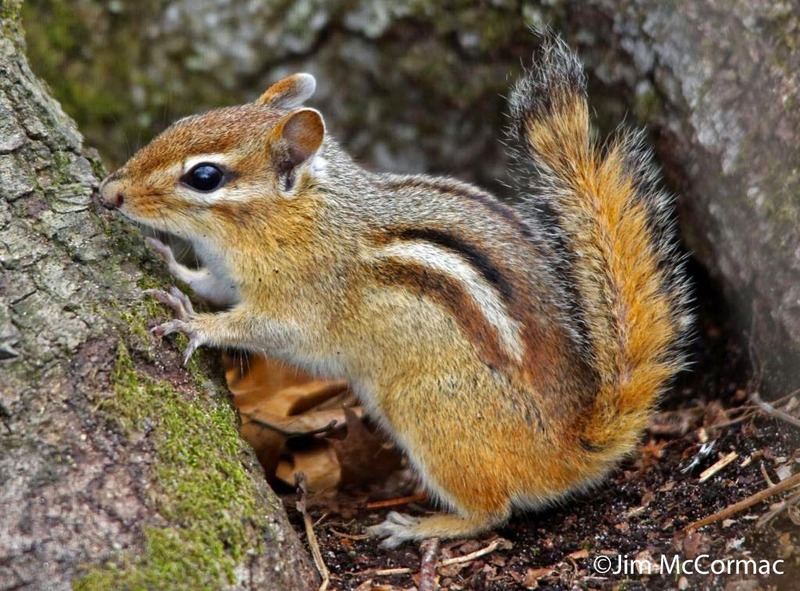 Chipmunks are abundant in northern Michigan, and rank high among the most valuable of forest animals. CLICK HERE for a piece that I wrote about chipmunks. 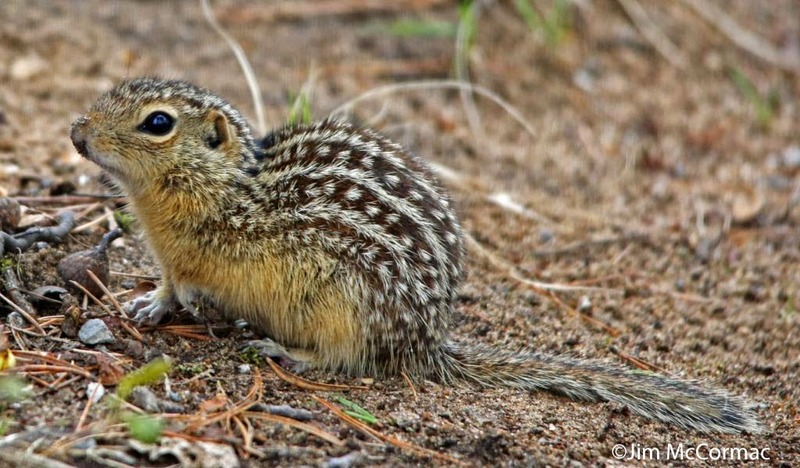 The thirteen-lined ground squirrel, Spermophilus tridecemlineatus, is always a crowd pleaser. These relatives of prairie dogs are pretty easy to find in Presque Isle County, and I enjoy showing them to people. For many, it is a life mammal. You can read an article that I wrote about ground squirrels HERE. In all, we had about 21 species of mammals, including such interesting fare as porcupines, river otters, beaver, and northern flying squirrels. That pales in comparison to the 160+ species of birds racked up by our two groups, but the mammals always add greatly to the trips. Butterfly workshop - July 12! Moth that mimics a spider!